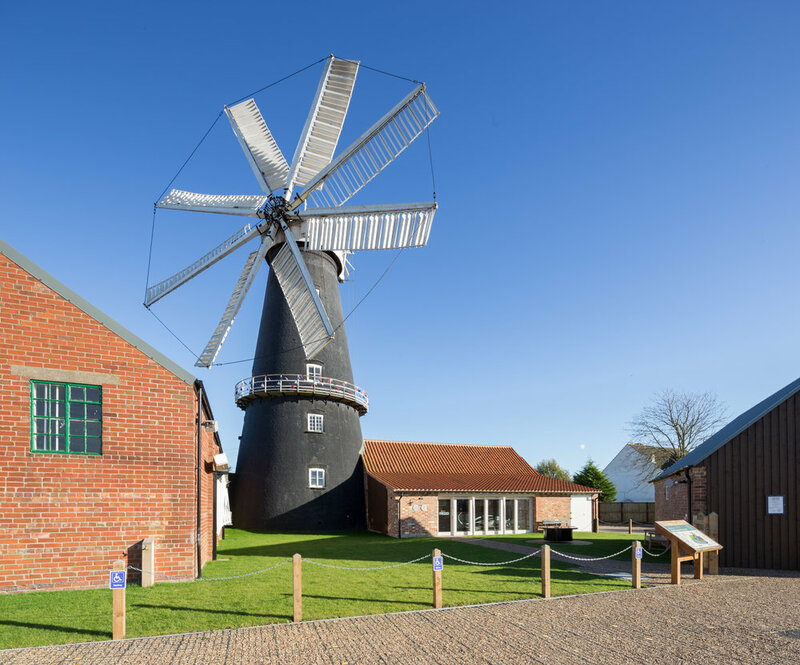 Heckington Windmill is Grade I listed and is the only working example of an eight-sailed windmill in the country. It is a local landmark in the midst of the Lincolnshire fens. Although the Mill was well maintained, the buildings that surrounded it in its heyday, were dilapidated and much altered. They comprise the Millers House, the Granary, the Sack Store and a Bake House. 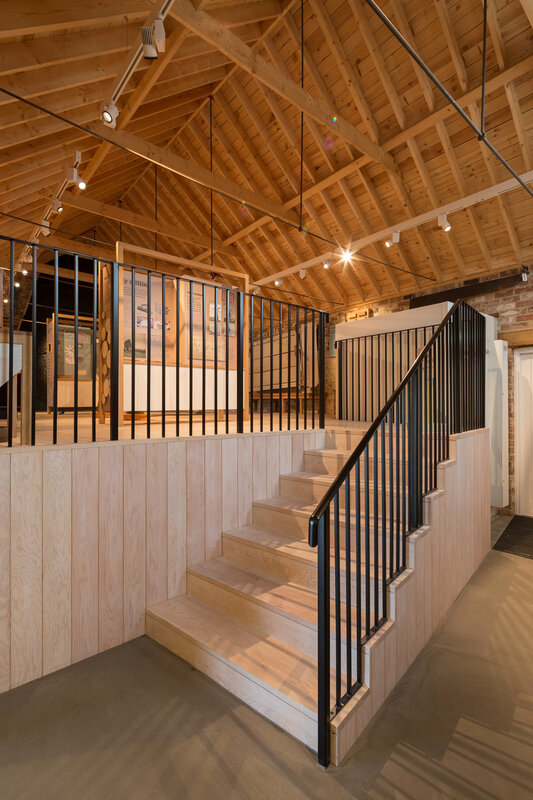 The scheme regenerated the site, allowing the ‘field to fork’ story to be understood, with grain harvested from adjacent fields, milled in the windmill, baked on site and enjoyed in the Mill House café. 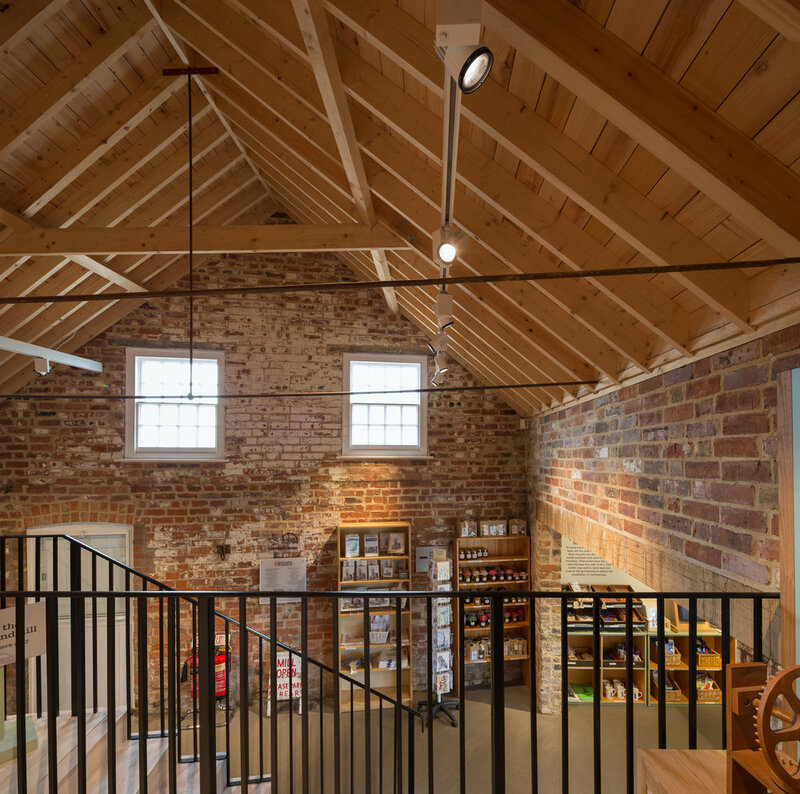 The design leads the visitor route through a main entrance from the parking, past an exhibition area and shop to the Mill itself. Sensitive conservation retains character and function, taking care to avoid ‘smartening up’ to emphasise the working status of the windmill. 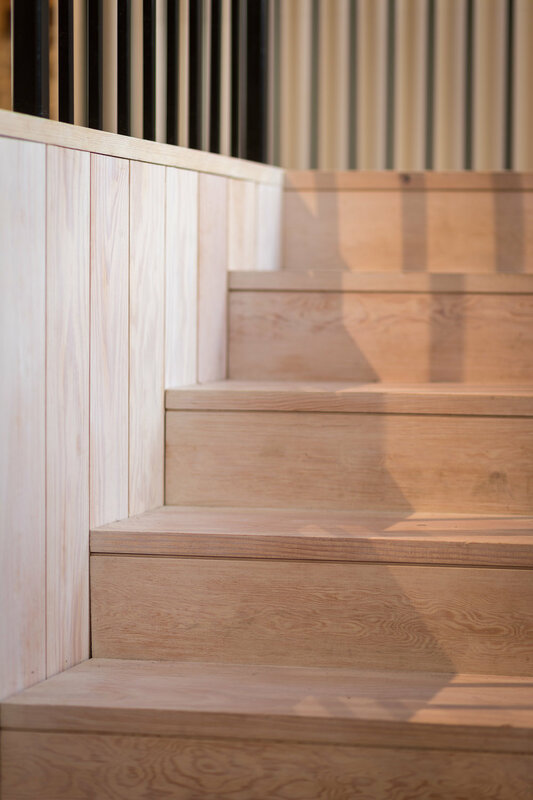 The design removes later elements and restores buildings and their function, as well as making access for all. Parking and a services building are provided to the rear of the site. 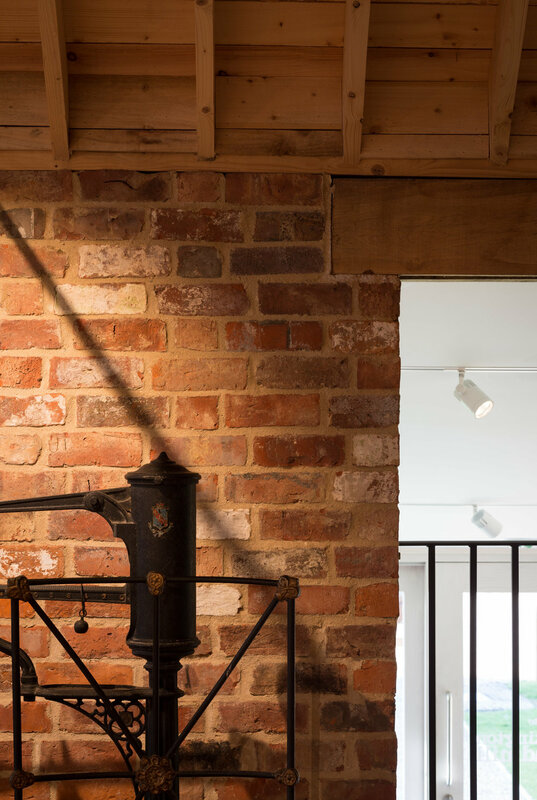 A second phase will extend the Cafe with a contemporary addition to the rear of the Millers house, with a double height space allowing views of the windmill. Large timber louvres constructed in the same way as those on the windmill sails adjust the view and solar gain, as well as explaining their function and construction. Simple forms finished in black pitch lock the contemporary elevations into the tradition of the windmill site. The new facilities were officially opened by HRH The Princess Royal, Princess Anne on Friday 13th October 2017.